13+ year tertiary and financial career. Consistent career growth in acquisitions, setup of new enterprises and macro business fields. Strong background in institutional development and business policies, lawmaking and politics. Well-versed in trade policies as well as economic relief and tourism policies. 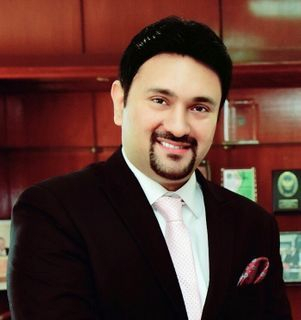 Chairman; Federation of Pakistan Chambers of Commerce and Industry- Higher Education, Science and Technology. Member; Commissioner Task Force Karachi. Appointed Justice of Peace East, by the Chief Minister Sindh in 2014. Member Karachi Chamber of Commerce and Industry & Member of Law and Order Committee KCCI. Maintain up-to-date knowledge of banking/financial industry and governmental policies and regulations, as well as intra-country policies. Countries visited USA, Canada and the Continent of Africa on official invitation. Proven ability to function in high-pressured ever-changing environment, interacting effectively with all levels of support staff and management. Excellent interpersonal skills, coalition building, and collaborative partnerships. Ability to communicate orally and in writing, including technical and financial reports. Strong analytical and problem solving skills; excellent decision maker and innovative thinker.